As we were driving through Queensland I developed a new habit, which I found very entertaining but Thom probably found a little bit annoying. Whenever we passed one of those brown tourist attraction signs on the side of the road I would just jump up and yell “turn left here!” It really didn’t give Thom a lot of time to get into the lane we needed to be in or to make the turn, but sometimes it worked out for the best! This craziness really paid off when we turned left to follow the sign for the Babinda Boulders. 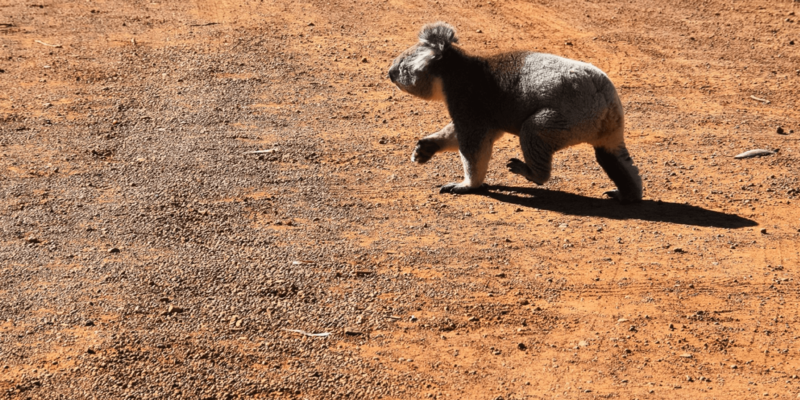 The best part about the tourist signs in Queensland is that they include a picture of the attraction they’re leading to, so you get a little sneak peak of what you’re headed towards or what you might be missing out on if you choose not to stop. 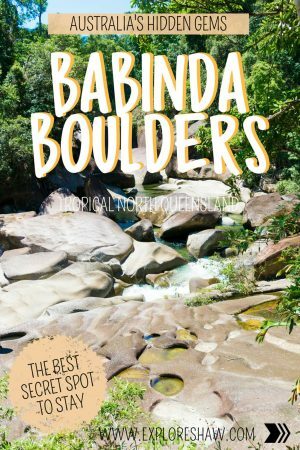 We had never heard of the Babinda Boulders before we drove past this sign, but they ended up being by far one of our favourite places that we have ever accidentally stumbled across. A beautiful creek with crystal clear water that weaves around huge boulders and filling large water holes where you can spend the day swimming and sunbathing. 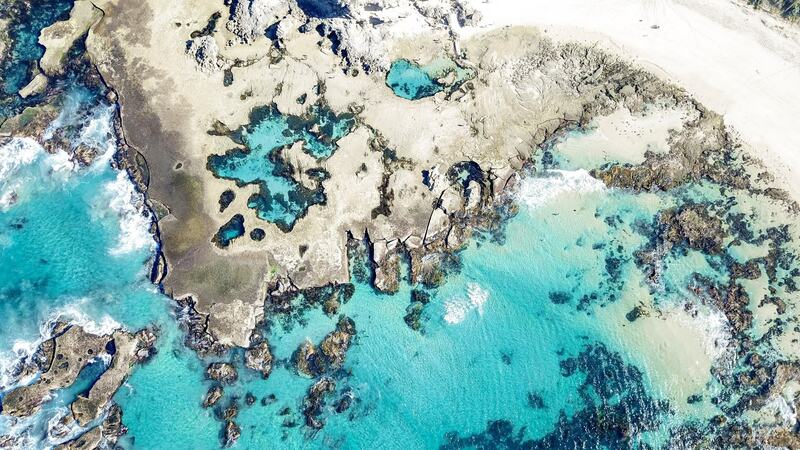 Even during the hottest days in summer, the water here is still quite cool and perfect for a refreshing swim. The water is flowing down from Mt Bartle Frere just behind the boulders, which is also Queensland’s tallest mountain. The Boulders really does feel like more of a local hangout. When we were visiting there was hardly anyone there except for a group of local teenagers having a swim and some friendly caravanners. 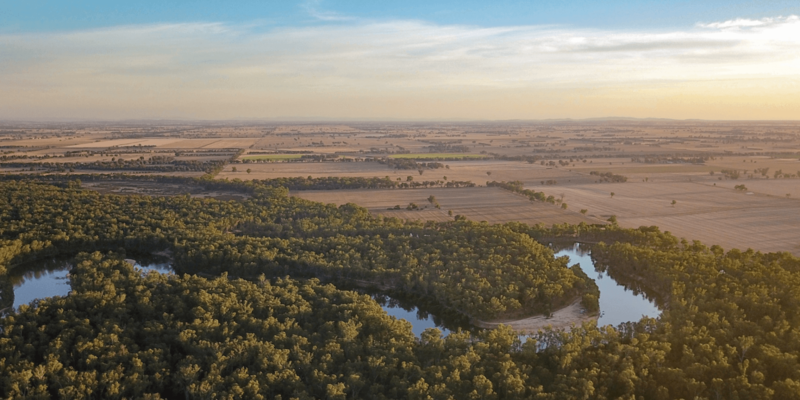 These are often the best people to chat to – they know all the best places, have sussed out the off the beaten path can’t miss spots, and they are more than happy to share them with you. It is free entry to visit the Babinda Boulders, but as it’s a National Park you can not take dogs here and must adhere to other National Park rules. Road access: Bitumen road takes you to the car park, approximately 6km from the main town of Babinda. 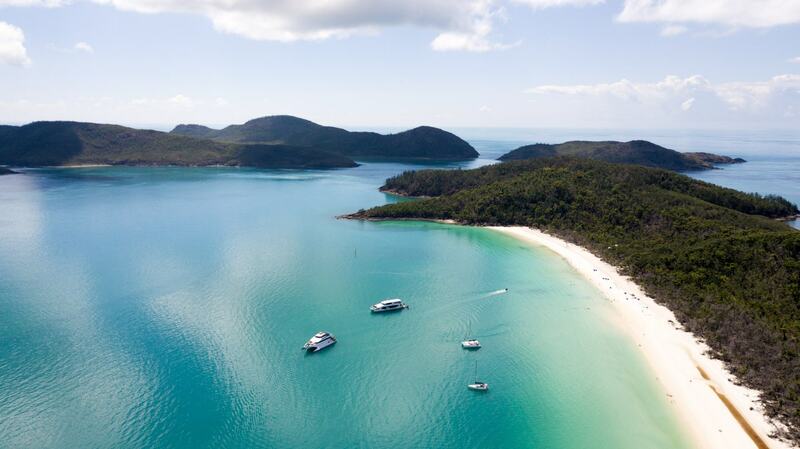 There is parking available for cars, caravans, RV’s and motor-homes. Facilities: The Babinda Boulders camping ground is a short distance away from the water hole and main car park. You can also find toilets, cold showers, gas BBQs, sheltered picnic tables and a playground surrounding the car park. Walks: There is an easy 2 kilometre rainforest walk to three lookouts over the boulder formations and waterfalls. It is definitely worth taking this walk, as the views at the end are epic and keep getting better and better the further down the path you walk. 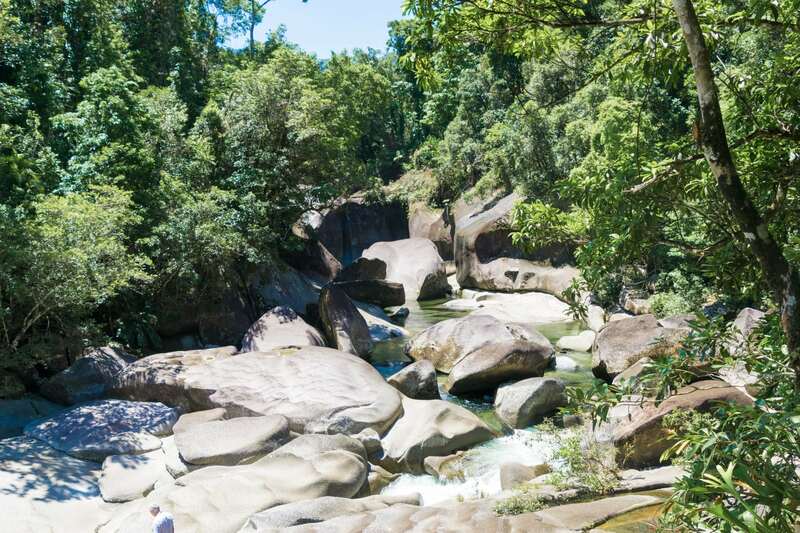 The Babinda Boulders also acts as a starting point for the Goldfield 19 kilometres walking track. Warnings: Stay within the signed railings at the lookout areas, these are extremely dangerous areas as if you fall into the water and get swept into the current you could be badly injured or drown. 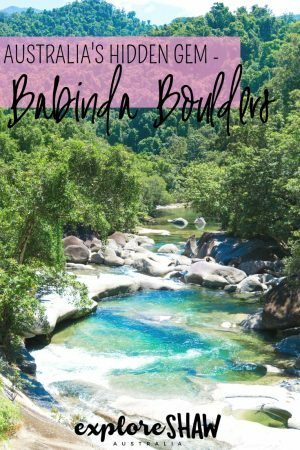 The Babinda Boulders is not just a beautiful swimming hole, but the area also holds great significance for local Aboriginal people. 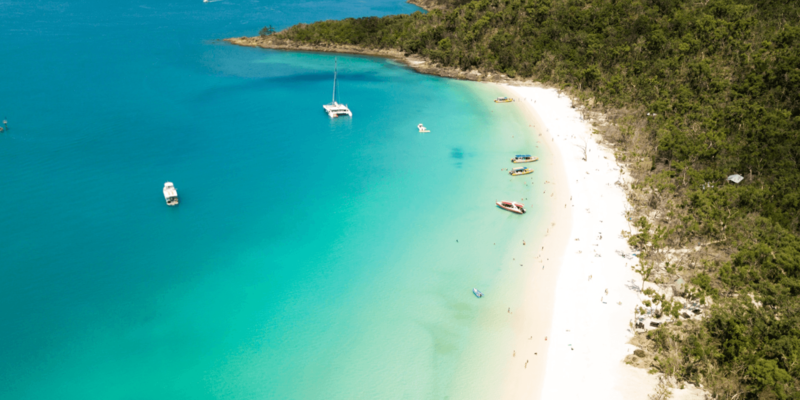 After visiting this beautiful piece of paradise the first time, it’s safe to say that it is firmly on our list of places to return to and actually stay at on our next trip down the Queensland coast. 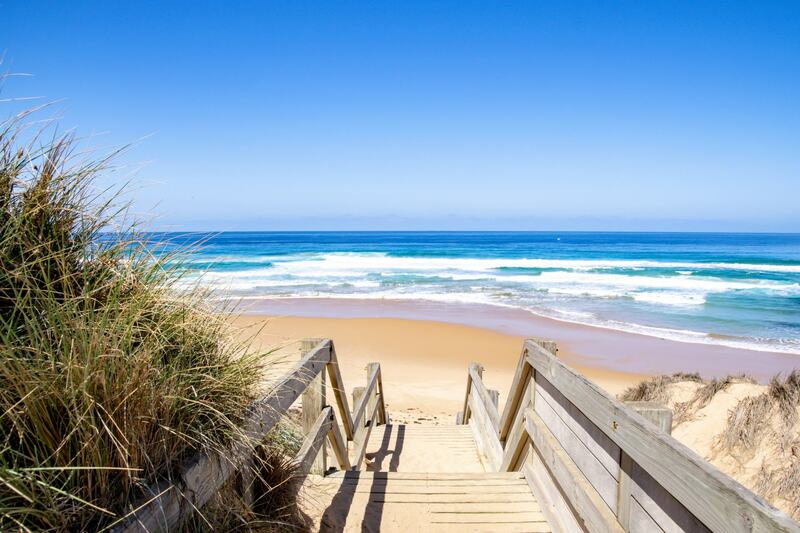 We would absolutely recommend it to anyone visiting the area – it’s the perfect place to get out of the car and stretch your legs on a long drive and the water is just too inviting to pass up. Make sure your bathers are within easy access to take a dip!